Pets certainly know when they are clean and looking good. Well-groomed pets (cats too!) are happier, better behaved, healthier, and more outgoing. Just like all of us, they feel good when they look good. Paws and Claws Pet Resort offers a complete line of Grooming and Spa services to bring out the best of appearance and personality in any breed. We work carefully, never rush, and do not overbook appointments. We always take our time and do it right. Paws and Claws Pet Resort has caring, experienced, professional groomers who enjoy giving your pets a full spa experience! All full grooming services include cleaning ears, trimming nails, bath (including full body massage), blow dry and the trim or haircut of your choice. 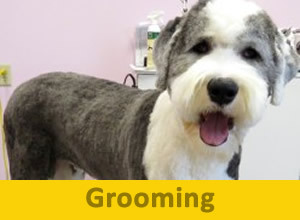 Our groomers ALWAYS consult with you to ensure your pet is groomed the way YOU like. Nail trims are available by appointment (often available same day), please call to schedule. 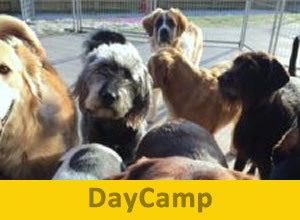 Appointments are available six days per week (including evenings and Saturdays) and can be made while pets are with us for DayCamp or Lodging for your convenience, so they can be fresh and clean when you pick them up. Our facility upholds the highest standards for cleanliness and disinfection and is fully insured. Grooming is available by appointment, Monday-Saturday (evening appointments also). Phones are answered (and voicemails returned), during regular Lobby hours for the Resort. You will find our prices competitive and reasonable. We will be happy to quote you a price range over the phone or call to insure the groomers are available for you to stop by with your pet for a more accurate quote. 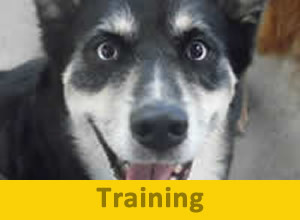 Pets must have a current Rabies vaccination, which MUST be given by a licensed veterinarian, and whom we will contact to verify. Distemper and bordatella vaccines are strongly recommended. MOST pet’s grooms will be completed in 2.5-3 hours. Pets may stay in the Spa up to 4 hours for their comfort. 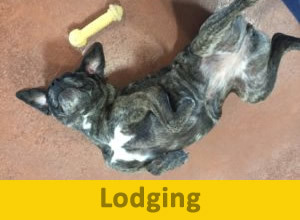 Longer stays can be accommodated with DayCamp (arrangements must be made in advance). No-show and late arrival fees will be applied. EXTRA brush time to finish! GENTLE intro to the Spa for puppies up to 4 months!